The Cuisinart CTG-120 is a propane tank gauge which is a simple and quick way to check how much propane is left in your grill's tank. All you have to do is hook lift and look. The rubberize handle is easy and comfortable to grip while the dial face is large and easy-to-read. Calibrated for use on a standard 20-pound propane tank, the gauge is not affected by weather so it can be used in hot or cold conditions. 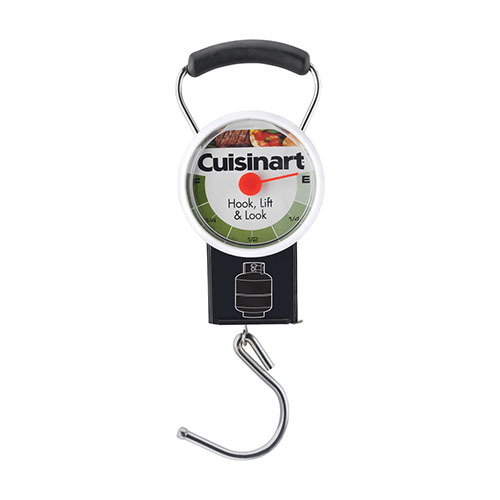 The Cuisinart Propane Tank Gauge has many exciting features for users of all types. You can extend the lifetime of your Cuisinart Propane Tank Gauge with the purchase of a FactoryOutletStore Factory Protection Plan. 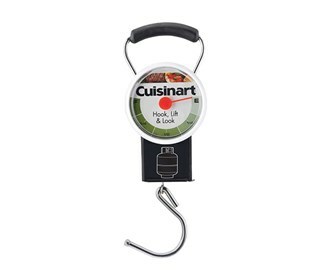 See the Cuisinart Propane Tank Gauge gallery images above for more product views. The Cuisinart Propane Tank Gauge is sold as a Brand New Unopened Item.